Raul F. Prezas, PhD, CCC-SLP, is Associate Professor in the Department of Human Services at Stephen F. Austin State University in Texas. He has several years of clinical experience in the university, public school, and home health settings; particularly working with bilingual children and their families. Dr. Prezas has served as a bilingual speech-language evaluator in the school setting and has participated on early childhood assessment teams. 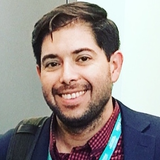 His research interests include biligual phonological acquisition, bilingual/multilingual assessment and intervention, phonological treatment models/outcomes, multicultural issues, and underrepresented populations. Raul Prezas updated their profile information. Raul Prezas changed their profile image.